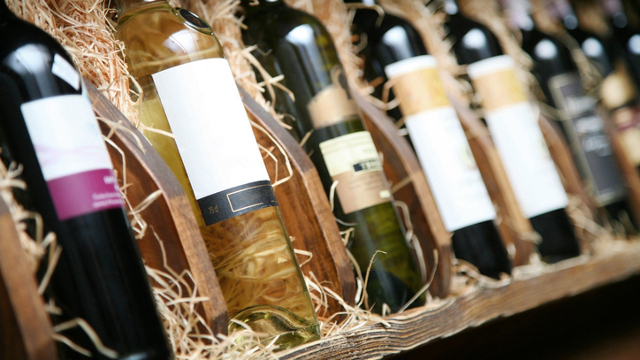 Have Majestic Wine shares already bottomed? Having halved in value from last year's peak, the worst may be over for Majestic, argues our chartist. 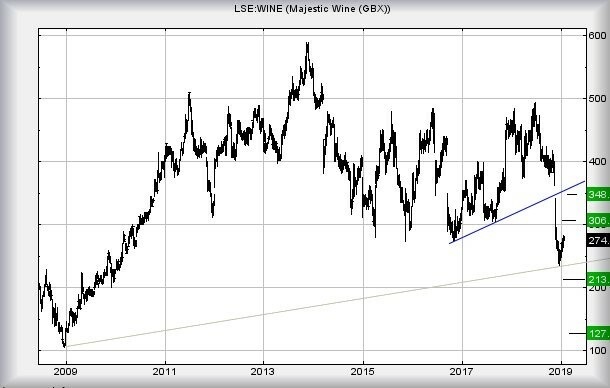 We've kept an eye on Majestic Wine (LSE:WINE) since its rise from 100p in 2009 to 600p in 2013. The shares behaviour during the last few months has been interesting to say the least. The drop to a bottom of 235p was, from our perspective, mathematically precise. Unfortunately, it creates the situation where weakness now below 237.5p risks introducing some danger, due to a calculation which gives a bottom at 213p and hopefully a realistic bounce. We mentioned earlier the drop to 235p was mathematically precise and it actually gives some hope for the future. If the share price were to move beyond 298p, we'd argue bottom was officially "in" at 235p as an initial recovery target calculates at a tame 306p. In the event this level is exceeded, our secondary is a useful 348p, along with a need to revisit the price for additional analysis.